There is only one known F 250 High Speed, and this is it! 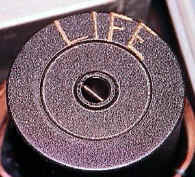 Apparently it was used by Zimmerman of Life Magazine (note engravings). 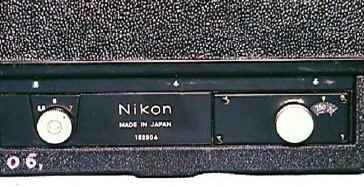 Eventually it ended up on a used camera shelf in Honolulu for the paltry sum of $500! 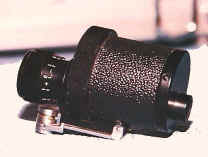 This is a 7 fps model, with mirror lockup. 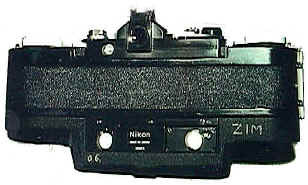 The special supplementary viewfinder is for sighting with the mirror lockup. There was no auto-diaphragm operation as it was not considered practical at high speeds. 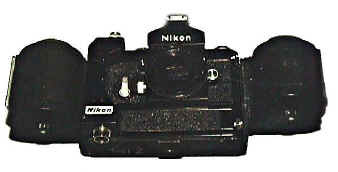 Whether this is a Nikon factory job, or a special conversion done for Life magazine is unknown. Sorry for the quality of the photographs, but they were taken some years ago rather off-handedly at a camera show, when the internet as we know it didn't even exist!